Zinc oxide is a chemical compound that is thought to have been used in health and skin care applications for millennia. Although we don’t know when the benefits of this inorganic compound were discovered for the first time, the oldest and the closest reference is believed to be the description of a healing salve, called Pushpanjan, used to treat the eyes and open wounds. In today’s medicine, zinc oxide is generally used to address skin damage, like burns or scars; irritations; and may even act as a protective layer on the skin to lock moisture in, while keeping pathogens out. Although this compound has many health benefits, it can have a number of side effects, especially if other products or dietary supplements with this ingredient are used. Before you use products with zinc oxide, it’s a good idea to visit your dermatologist, or at least stop by the skin care counter at your local department store. Zinc oxide derives its name from zincite the mineral from which it is produced when it is combined with oxygen molecules. It is widely used and has numerous applications because it is not water soluble, and can therefore be used in a variety of creams and make-ups. 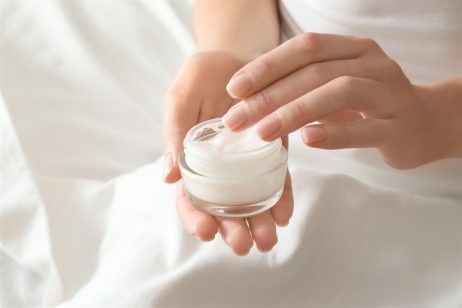 But the chemical is not unique to skin care, and has been often used in manufacturing and other industrial applications. However, when carefully formulated with other ingredients for healthy skin, zinc oxide can soothe skin and protect it from irritants. One of the more popular uses for zinc oxide is to reduce occurrences of diaper rash by forming a protective barrier on the infant’s delicate skin. This mitigates the effects on the skin of bacteria and other irritants that can be present in urine or other excrement. As a diaper rash treatment, zinc oxide can come in cream form, lotion, ointment, and a variety of other forms, depending on the intended use. Because of its ability to soothe skin irritation, zinc oxide it is often used as an active ingredient in anti-dandruff shampoos, to prevent dry flaky skin on scalp. The antibacterial properties make it a common ingredient in antiseptic ointments. A mixture of 20% zinc oxide and 80% petrolatum is also sometimes used to create rectal haemorrhoid creams to relieve itchiness, and to protect irritated tissue. Zinc is an important mineral that has significant effect on a person’s body. When ingested as part of the regular diet or through a multivitamin, it helps in repairing damaged tissues for better general health. In topical uses, zinc oxide is also thought to prevent acne through sebum reduction and anti inflammatory qualities. Many brands use Zinc Oxide in their products. These include Rodan and Fields, Nerium, Meaningful Beauty, Boots No 7, Mary Kay and Arbonne. Zinc oxide is believed to be non-allergenic and non-comedogenic (it doesn’t clog pores) and is generally safe to use. However, the compound can cause allergic reactions such as swelling, itching or tingling in some patients. People with sensitive skin or those who have any allergic tendencies should check with their doctor first before using anything that has zinc oxide. Keep in mind that some zinc oxide allergic reactions have been severe, and can even lead to difficulties breathing. This is especially true if zinc oxide builds up in your body over time, and is pushed over the threshold by a cream or other professional skin care product that contains this chemical compound. 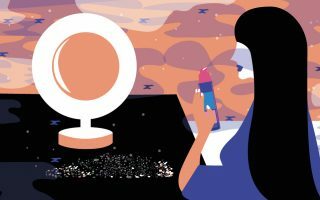 Many patients don’t realize that ingredients placed on the skin can often be absorbed into the body, and are not necessarily cycled out quickly. Instead, ingredients like zinc oxide can slowly build up in the system, until they reach toxic levels.